They may be tough on the outside, but they are soft and plush on the inside! Ready for battle, Deadshot is featured in his red and black outfit as seen from the film Suicide Squad. 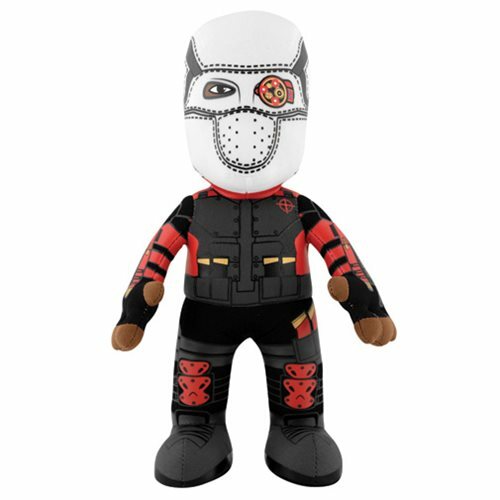 Collect your team of anti-heroes with this Suicide Squad Deadshot 10-Inch Plush Figure.